The economic fallout from the passage of House Bill 2 in North Carolina continues to roll on. Despite having made a significant deposit, in response to HB2, the W.K. 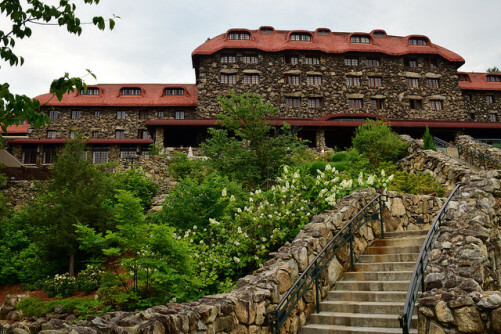 Kellogg Foundation has opted out of a contract with Asheville’s Omni Grove Park Inn to stage a conference there in August. The event would have would have brought more than 500 people to the city and $1.5 million to the local economy. This is to date the biggest economic hit to Asheville as a result of the legislation. According to Stephanie Pace Brown of the Ashville Convention and Visitors Bureau, there have been eight other cancellations, but the total impact of those adds to $500,000. Six other groups have withdrawn their requests for proposals. Kit Cramer of the Asheville Chamber of Commerce has also reported that a company that was investigating a move to Buncombe County, which would have brought 500 new jobs, said it would not invest another dime in North Carolina while the legislation stood. It is very disappointing that North Carolina, among other states, has thought to enact legislation that overturns protections for all people including LGBT people, sanctioning open discrimination against them. We are heartened by the broad coalition of public sector, nonprofit, business and civic leaders who are speaking out against this injustice.